As medicine continues to evolve so does the care that it requires and this in turn causes insurance companies to evaluate their covered services. 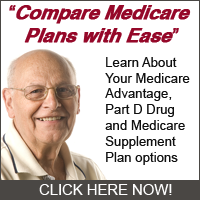 Medicare Part B has added three new covered services in 2012 to help to be able to extend a helping hand to their customers. One of the three new covered services is alcohol misuse and some facts about it are listed below. Once per year a Medicare policyholder can get a screening when they are misusing alcohol but aren’t necessarily alcohol dependant and can attend counseling. Up to four times in a brief setting the policyholder can get face-to-face counseling that can help screen the positive condition. What this does is make sure that the right amount of help is going to the right people so that more people can be healthy and happy. Your first session of counseling must be provided by your primary care doctor or provider after they have accepted the assignment of you as a patient. You would be in the primary care setting and start the treatment for your condition right away. Take this option so that you can start to overcome the odds and beat your alcohol misuse.